Graduate degrees in the field of education can encompass a variety of different specializations, including general education, special education, S.T.E.M. education and gifted education. For those who are ready to step out of the classroom and into leadership roles, including principals, superintendents and school administrators, a degree in educational leadership is essential. Today’s rapidly changing field of education requires leaders who are committed to serving children with various learning and lifestyle needs while improving educational outcomes and developing innovative programs that prepare students to live and work in a highly technological and scientific society. With many states accepting the Common Core standards, school leaders must be willing to design and implement programs that follow Common Core while ensuring that all teachers, students and parents understand the new standards. The need for highly qualified, creative and innovative school leaders is rapidly increasing. Many school leaders first earn a bachelor’s degree in teaching or education. Typically, school leaders are also first licensed as classroom teachers in elementary or secondary school classrooms. Educational leadership degrees are usually obtained at the master’s degree level for those wishing to become elementary or high school principals or superintendents. Doctoral degrees are also available for those who want to increase their qualifications to serve as school administrators, as well as those who want to design and implement educational policies on a national or international basis. Today, there are several options for those who wish to pursue a master’s or doctoral degree in educational leadership. Many traditional campuses continue to offer classroom-based programs. However, because many graduate students also hold full-time careers and may have family responsibilities, several universities now offer graduate programs in educational leadership in an online or distance-learning setting. Online programs can allow students to take courses after work hours, in the evenings and on weekends. Many programs also allow the student to continue working full-time and may even offer credit for professional experience. Choosing an educational leadership degree program can be an overwhelming process. With the popularity of distance learning programs, students are no longer limited to universities within driving distance from their home or workplace. With so many available choices, it can be difficult to choose the right program. Whether the program is traditional campus-based or an online program, the university must have regional accreditation. This accreditation ensures that the university’s programs have been evaluated and meet at least minimum standards for quality and graduation rate. Programs without regional accreditation are often not accepted by potential employers and may not even meet criteria for licensure. In addition to accreditation, choosing a program with high rankings can help ensure that the degree is well-respected and accepted by future employers. The U.S. News and World Report is a well-known organization that frequently evaluates and ranks both distance learning and brick and mortar universities. The University of Cincinnati offers a master’s degree in education with a specialization in educational leadership. This program is offered completely online and helps prepare students to take the Praxis Series Exam and earn licensure as a principal in the state of Ohio. Other states may accept the program for licensure but the student must contact the Department of Education of his or her state to confirm eligibility prior to enrolling in the program. The University of Cincinnati’s online Master of Education program has been accredited by both the National Council for Accreditation of Teacher Education (NCATE) and the Higher Learning Commission. Western Governors University offers a Master of Science in Educational Leadership degree in a distance-learning format. 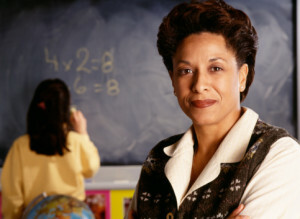 The program is designed for licensed teachers who would like to become school principals. The program is based in the standards by the Interstate School Leaders Licensure Consortium (ISLLC) and the Baldrige National Quality Program’s Education Criteria for Performance. WGU’s program is accredited by the National Council for the Accreditation of Teacher Education and the Northwest Commission on Colleges and Universities. It is also an approved NEA Academy Partner. The Harvard Graduate School of Education offers a Doctor of Education Leadership (Ed.L.D.). This three-year program is one of the nation’s first and most innovative doctoral programs in education leadership. The first year, students will experience a custom-designed core curriculum taught by professionals from the Harvard Graduate School of Education, Harvard Business School and Harvard Kennedy School. The second year includes elective courses and the third year includes a residency with one of the university’s partner organizations. Some of these partner institutions include the Boston Public School district, the Delaware Department of Education, the Los Angeles Unified School District, the New York State Department of Education and the United States Department of Education. Harvard is accredited by the New England Association of Schools and Colleges. The Harvard Graduate School is a part of the highly respected Ivy League Harvard University. All students accepted into the Ed.L.D. program receive the full tuition funding package, a yearly stipend and a paid residency, making this highly respected program also very affordable. Many students who are pursuing degrees in educational leadership will have internships in school leadership positions, including assisting principals, superintendents and administrators for public and private schools. In addition, internship opportunities can also be found in global policy or research institutions, universities and state departments of education. Interns may be involved with advocacy, policy research, curriculum development and education legislation. Some universities offer paid internships as part of the school’s financial aid package. These schools often have a list of approved partnerships that the program’s students must choose. Other programs allow the students to choose their own internships based on local availability and the student’s interest. Before committing to an internship or program, it is essential that the student check with the school’s graduate school office about the program’s internship requirements. The cost of an educational leadership degree can vary widely depending on the school and type of degree. A doctoral program may have a higher tuition rate than a master’s degree program. However, many institutions offer stipends and scholarships for doctoral students who also teach undergraduate courses or conduct research. Traditional campus-based programs are more likely than online programs to offer stipends and significant scholarships, but those in online programs are more likely to be able to continue working full time while also completing coursework. Some employees may provide tuition reimbursement to current employees that seek to pursue a degree in educational leadership. The United States Department of Labor Bureau of Labor Statistics states that the median salary for elementary, middle and high school principals with master’s degrees is approximately $88,000 per year. The BLS expects there to be a 6% growth in the number of positions for principals. Postsecondary education administrators with a master’s degree can expect to earn approximately $87,000 annually with an expected growth rate of 15%. Elementary and secondary school administrators can expect to earn an average of $91,000 a year with an above-average expected growth rate. The salary a school leader can expect varies considerably. Small private and parochial schools often offer lower salaries than large public school districts do. Rural schools and those districts that serve areas of increased poverty also offer lower wages than urban districts and those in wealthier areas. Finally, educational leaders involved in advocacy, policy, research and legislation can expect to earn a higher annual salary, especially if the leader has a doctorate in educational leadership. ASCD was formerly known as the Association for Supervision and Curriculum Development. It is one of the most popular professional organizations for superintendents, principals, professors, teachers and education advocates. The organization has over 140,000 members and 56 affiliate organizations. The organization offers several opportunities for professional development, including books, publications, conferences, online courses, webinars and on-site training. There are also several social media outlets associated with ASCD in order to allow members to interact with each other, share resources, ask questions and offer ideas. Edutopia is a large collection of blogs, videos, classroom guides and educational ideas for everyone involved in the field of education. There is an extensive resource library for school administrators and leaders. Current and future leaders will find links to dozens of blogs, news articles, ideas from experts in the field, videos and links to professional organizations. The Center for Teaching Quality is a non-profit organization that acts as a collaborators for teachers and school leaders. Teachers use the site to share innovative ideas, discuss education news and policy, engage in crowdsourcing solutions and develop leadership skills. Ideas include best practices in the classroom, how to bring Common Core standards to life, innovative leadership, redesigning schools to meet the needs of today’s students and improving teacher evaluation systems. EdLeader21 brings together a network of school leaders in order to focus on critical thinking, collaboration, creativity and communication in education. The organization focuses on redesigning education programs to prepare students to be successful in college and the job market in the 21st century. The U.S. Department of Education School Leadership Program offers competitive grants in order to support the development and expansion of innovative programs designed to recruit and train principals to serve with high-need local educational agencies. The program is designed to improve access to quality education in areas with high levels of poverty and lower rates of qualified teachers. The American Association of School Administrators, also known as AASA, advocates for high quality public education for every student. The organization was founded in 1865. AASA is a professional organization that provides information on education policy and advocacy in addition to resources and opportunities for leadership development. AASA also has a significant children’s program that is available to members of the organization. School Leadership 2.0 is an extensive virtual learning community for school leaders from around the world. Membership in the community includes access to blogs, videos, social networking groups and discussion boards. There is also a job posting board and opportunities to develop a professional network. Hillsdale College is known nationwide for the institution’s conservative views and focus on liberal arts education. The Center for Teacher Excellence offers speakers, seminars and training for teachers and school leaders. In addition, the college offers awards for those demonstrating teaching excellence, especially in an area focusing on liberal arts education. Finally, for administrators who inspire to start a charter school, Hillsdale College offers grants and assistance to future administrators of liberal arts and classical education charter schools across the country.